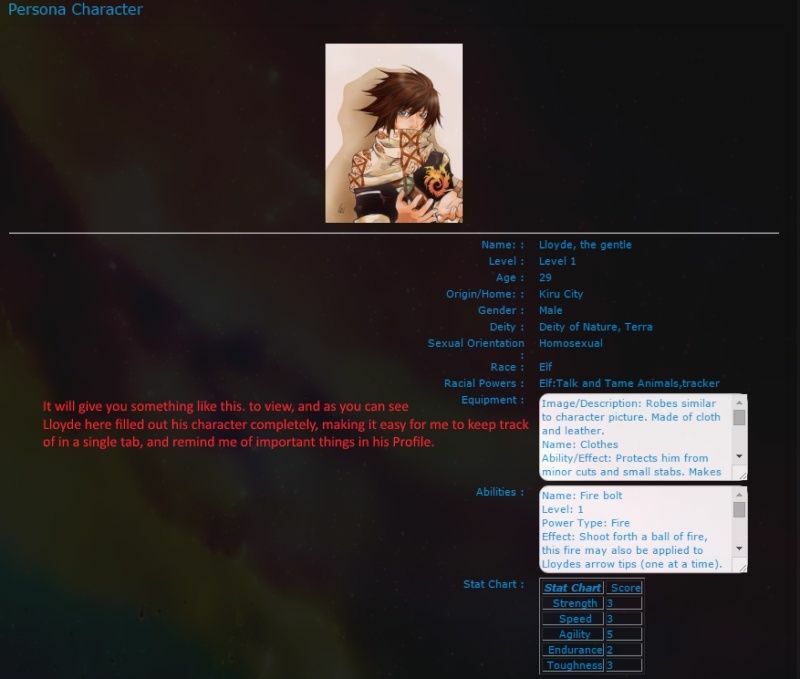 This is a announcement to announce the awareness of Character sheets! 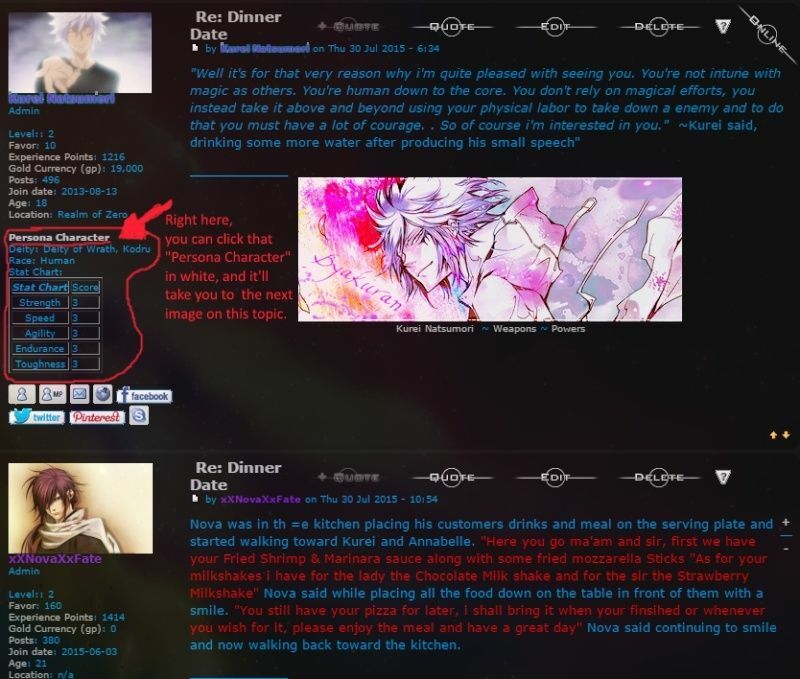 or otherwise known as Persona Character Sheets which are viewable on someones profile. The purpose of them is to have ALL collected information in one easily clickable area. Without having to run around looking for all if it or having to click on multiple links to figure out where's what. Instead, after a person posts like so here. The Persona Character sheet contains the following Information, so be sure to fill it out!